Barack Obama's unilateral action on amnesty for illegal immigrants has been blocked by a federal judge. 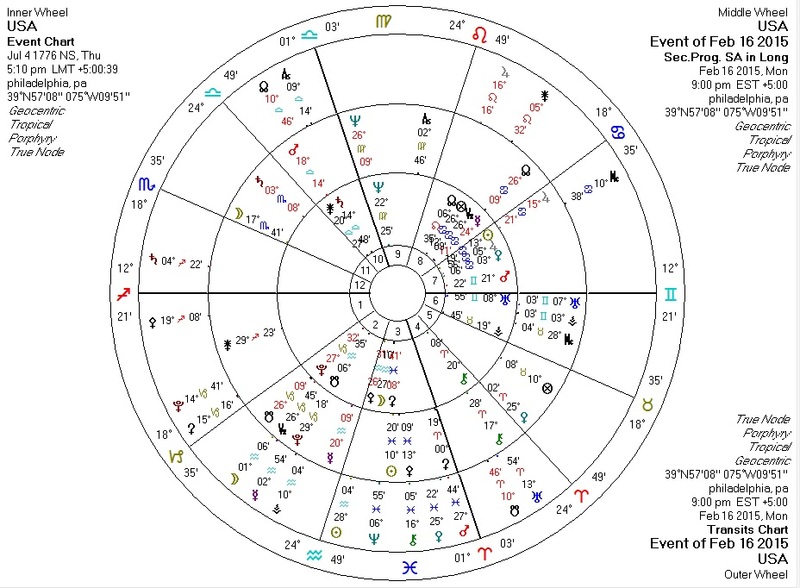 I have no position on this issue, but the transits and progressions (time approximate) against the US chart are interesting nonetheless. Transiting Sun conjunct US Pallas, transiting North Node quincunx progressed Pallas, and transiting Mercury novile progressed Pallas: when Pallas is this strong, aggression and authority tend to be withheld or rolled back. The planets seem to be telling us that this event is strongly more "good" than not from a libertarian (i.e. Palladian) perspective. The blockage of Obama's unilateral authority seems to far outweigh the fact that a "closed" immigration policy requires force to enact, as far as the planets are concerned. Or, perhaps, Obama's edict on immigration contained authoritarian elements which have not been well-publicized? Very curious. Transiting Sun conjunct US Moon: a very temporary bolstering of American people/race/culture. Transiting Saturn in the Twelfth House quincunx Venus/Jupiter in the Seventh: the blockage or restraint of a "gift" to foreigners? Progressed Moon about to enter the Twelfth House: perhaps the population will be strongly subject to foreign elements in the near future anyway. As per Hans Hermann Hoppe's comments on immigration, open immigration is inevitable in democratic societies because politicians can always garner more votes by promising benefits to immigrants, to the detriment of natives. February 20, 2015 at 11:43 PM The Saturn quincunx to Venus/Jupiter in the Seventh also seems to fit the recent port troubles on the West Coast.